1. Browse incognito on shared computers. 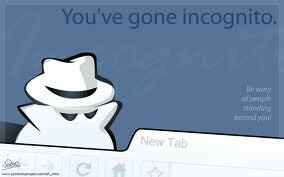 When you use Chrome in an Internet cafe or a shared computer, play it safe by browsing incognito. With Incognito Mode, pages you view won't appear in browser history or search history and they won't leave other traces, like cookies, on the computer after you close the incognito window. 2. 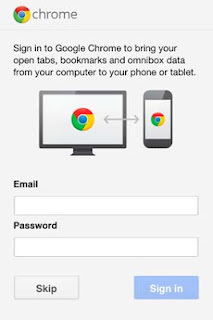 On your own devices, sign in to Chrome. Signing in lets you take your Chrome stuff with you, so you can always have your personal Chrome experience on all of your devices. When you’re signed in to Chrome, changing something on one device instantly changes it on all your other devices. For example, add a bookmark on your laptop, and it automatically appears on your desktop, so you can always pick up right where you left off. 3. 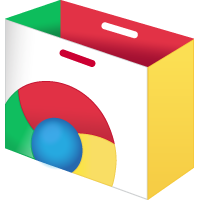 Install a web app from the Chrome Web Store. The web has evolved over the past decade from a collection of mostly static web pages to an interactive platform for social networking, collaborating on documents, sharing photos, playing games and more. Web apps -- services like Gmail and games like Angry Birds -- make the web more fun, useful, and entertaining. The Chrome Web Store is a marketplace where you can discover and install the best apps on the web. 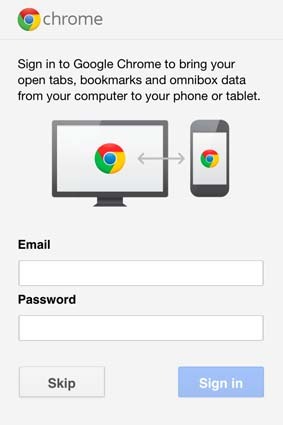 Once you’ve added a web app to Chrome, you can easily access it from your Chrome new tab page, on any device where you’re signed in to Chrome. 4. Use Chrome to automatically translate web pages. Chrome is a multilingual browser that makes accessing content on the web a breeze no matter which language you prefer. Chrome can automatically detect when you visit a webpage written in a language you don’t read and instantly translate the text into your native language. Turn this capability on by enabling the option to “Offer to translate pages that aren't in a language I read” in the Under the Hood preferences menu.